Rivers State Governor, Nyesom Wike has announced that the State Government will set up a Judicial Commission of Inquiry to ensure that the Federal Special Anti-Robbery Squad (F-SARS) personnel who killed Dr Ferry Gberegbe, PDP Khana Collation Agent are brought to justice . 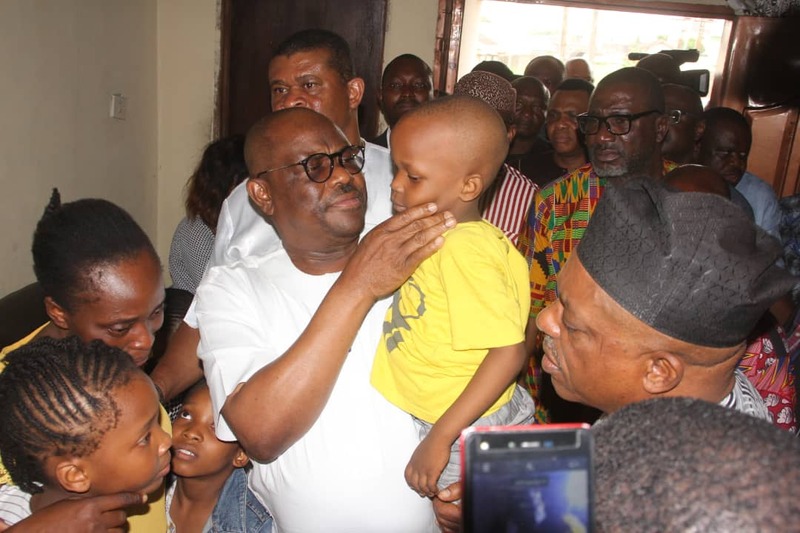 Wike also announced a N200million scholarship for the four children of the Late Dr Gberegbe, directing the widow of the deceased to open bank accounts for each of the four children. “We will set up a Judicial Commission of Inquiry to ensure that the culprits are brought to Justice. It is unfortunate that F-SARS killed the PDP Collation Agent. He spoke on Saturday in Port Harcourt when he led leaders of Rivers State on a condolence visit to the family of the slain lecturer . The governor decried the shooting of the late lecturer by men of F-SARs led by Rivers F-SARs Commander, Akin Fakorede, at the Khana Collation Centre, where he served as the PDP Collation Agent. He said the fatal shots led to his death. 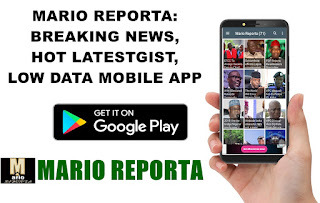 He said: “It is most unfortunate that the young man was shot dead by F-SARs led by Akin Fakorede in an attempt to cart away election results. “Instead of us to allow people to choose who will represent and govern them, the security agencies will not allow that. Rather they prefer to kill us. “He died in the course of the defending the PDP. He died in the course of defending democracy. I want to assure the family that all those who killed him will not go free”. Wike said the Late Dr Ferry Gberegbe remained committed to the PDP even on his sick-bed. He recalled the deceased sent him a text message saying that he would very happy when Wike is declared winner of the election. Wike stated that the State Government will also construct a house for the family of Late Dr Ferry Gberegbe and participate in his burial. Also speaking, PDP National Chairman, Prince Uche Secondus said the late lecturer was a victim of the calculated oppression of the oil rich states by the Army and the F-SARs. He said that the country is in distress, noting that the nation is sitting on the leg of gun-powder in view of the negative activities of the Federal Government. “The Commander of F-SARS, Akin Fakorede will kill several people and he cannot be transferred or disciplined. The Police and Army have become politicians, always responding to politicians “, he said. Widow of the deceased, Mrs Funke Gberegbe said that the family is yet to fully celebrate the doctorate degree bagged by Dr Gberegbe before he was brutally murdered by F-SARs operatives at the Collation Centre. She said that her late husband was the pillar of the family whose sudden death will negatively impact their lives. Father of the deceased, Mr Conduct Gberegbe said he was shocked by the killing of his son by F-SARS operatives. The retired police officer described the late academic as his hope and future.